A man who had returned from an overseas trip and a woman with whom he came in contact were diagnosed with measles in Saaremaa this week. 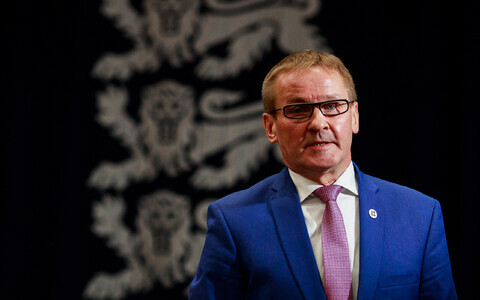 This year, four cases of measles have been diagnosed in Estonia, which in 2016 had been listed by the World Health Organization (WHO) as among the countries which had eliminated endemic measles. Last month, an unvaccinated child contracted the disease on an overseas trip; their mother caught it in turn upon their return to Estonia. It is not currently known whether the woman to contract measles this week was vaccinated or not; the man had been vaccinated with only one of two doses of the measles vaccine. 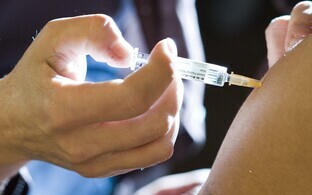 In the course of the Health Board's epidemiological study, persons who have been in contact with the two individuals as well as their vaccination status were determined. Those who have come in contact with them were also advised regarding the nature of the disease, prevention measures as well as vaccination. Persons who have come in contact with the ill individuals are advised to closely monitor their own health during the disease's incubation period, which in the case of measles is 21 days. Last week, a case of rubella was diagnosed in Rapla County as well. The previous two instances of rubella in Eesti were recorded in 2013. According to the immunization schedule in Estonia, children are administered the first dose of the MMR vaccine at one year of age and the second dose at age 13. The MMR vaccine is free for children in Estonia. Some of the earliest symptoms in the onset of measles include fever, malaise, cough, runny nose, conjunctivitis and light sensitivity. A few days later, the signature rash appears, which begins behind the ears and spreads to the face and neck before covering the entire body. 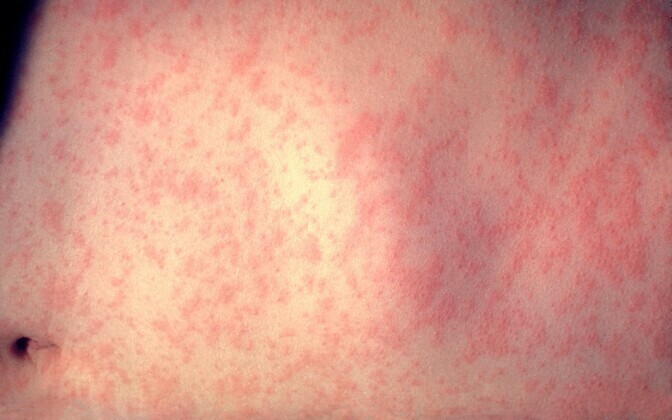 A measles patient is contagious beginning four to five days before and for up to five days following the onset of the rash. There is no treatment for the disease itself; only symptoms can be treated. Complications can include pneumonia, middle ear infections and inflammation of the brain.